The forces that gave rise to data warehousing in the 1980s are just as important today. 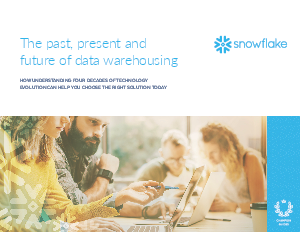 However, history reveals the benefits and drawbacks of the traditional data warehouse and how it falls short. This eBook explains how data warehousing has been re-thought and reborn in the cloud for the modern, data-driven organization.